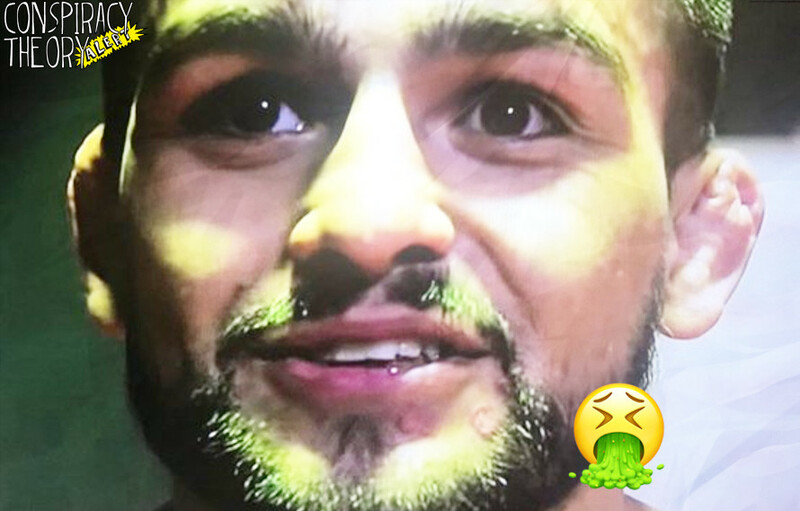 What in the ring worm/staph is growing on Kelvin Gastelum's face? Home MMA News What in the ring worm/staph is growing on Kelvin Gastelum’s face? What in the ring worm/staph is growing on Kelvin Gastelum’s face? What the hell is going on with Kelvin Gastelum’s face? Like seriously, we can’t stop looking at the face of Kelvin Gastelum. It’s not the deep brown eyes. It’s not the tan skin. That beard is finely kept to if we might add. No, it’s none of those features. What on Earth is growing on that’s dude face? Are we the only ones who can see this? How contagious is it? UFC 234 goes down on Saturday night, Sunday morning local time, in Australia and we’re just assuming all rules are off. It’s Australia, it’s the summer down under and we can’t really worry about infectious diseases. On fight day, everybody on the card is going to wake up with the Z-virus on their face all thanks to Kelvin Gastelum aren’t they? We’ve seen this movie before and thankfully Australia is an large island last time we checked. Sorry MMA media and fighters who flew down there, you can no longer return home. Nice knowing you. Thanks for coming. Please don’t ever shake our hand again. Well at least whatever organism growing on the face of Kelvin is only on his chin right? Right? Oh no. What is on that dude’s neck? Robert Whittaker is screwed because he will have to retain his middleweight title without touching his opponent. Perhaps a truly brilliant move by Team Kelvin. Anyways please do not sit too close to your screen when you look at these pics, we don’t know yet how the virus is spread.